The CPA Buzz is a quarterly electronic publication intended to highlight the work of the authority and its stakeholders, as well as create/raise awareness on the forms of abuse affecting the children of Grenada, Carriacou and Petite Martinique. Each quarter the publication will feature a centre spread on 1 form of abuse; its effects and the measures that can be taken to stop it. The 1st issue centers on Child Sexual Abuse. 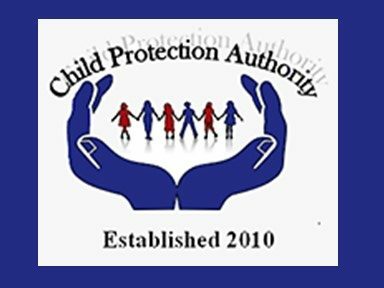 This edition of The CPA Buzz also highlights our ‘All Against Child Abuse’ project to be launched later in October, and some of the training initiatives and other activities the staff and children in care have been involved in between the months July and September 2017. The CPA Kids Corner is filled with fun; child-friendly educational activities that will help children understand the role of the CPA in their lives and well as how they, too, can help protect themselves from abuse and exploitation. As the CPA continues to seek creative ways to connect with stakeholders and the public at large, it is hoped that The CPA Buzz will prove to be an informative tool in keeping all up-to-date on our activities throughout the year. The publication is primarily electronic to facilitate a wider audience reach, ease of sharing, and contributes to the paperless initiative. To be added to the mailing list or for questions, comments or suggestions, e-mail pro@cpagrenada.org or call on 440 6980.